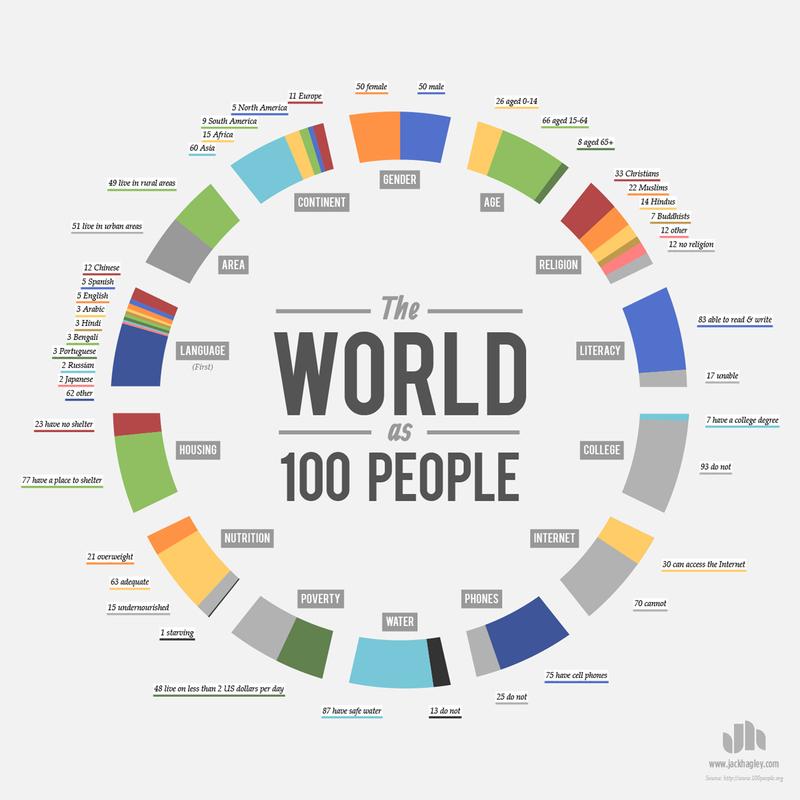 London-based designer Jack Hagley has created an infographic based on the simple premise of: what the world would like if it were represented by 100 people. The statistics cover a broad range, including: gender, age, race and religion. You can find the original source of the data used here. Hagley specializes in infographics. To see more be sure to check out his website for more interestingness. Prints of the above infographic are also available here.